Puget Sound RCPP Project Area: Dungeness Watershed. RCPP funds are designated to help improve water quality in Sequim Bay, an area popular for recreational and commercial shellfish harvesting. Project Description: Two nutrient management projects are planned for the farm. Upgrading a waste storage system for manure generated in calf pens and installing a large concrete slab for feeding cattle in winter. Both projects are intended to reduce the potential for ground water contamination. Additionally the Clallam CD is working with the farm to complete a Comprehensive Nutrient Management Plan (CNMP). It’s a beautiful day on the peninsula when we pull into the Maple View Farm. We’ve arrived a little early for our appointment, giving us time to enjoy the view of the mountains and Sequim Bay in the distance. A few minutes later, a well-worn truck pulls up and out steps Ben Smith. Ben greets us with a warm smile and a welcoming handshake. We start our meeting with introductions to the baby calves in the nearby calf pens. They’re extremely adorable, making it hard to pry ourselves away to learn about the farm and projects that will be implemented with RCPP funding. Ben Smith and his brother Troy are 4th generation dairy farmers. 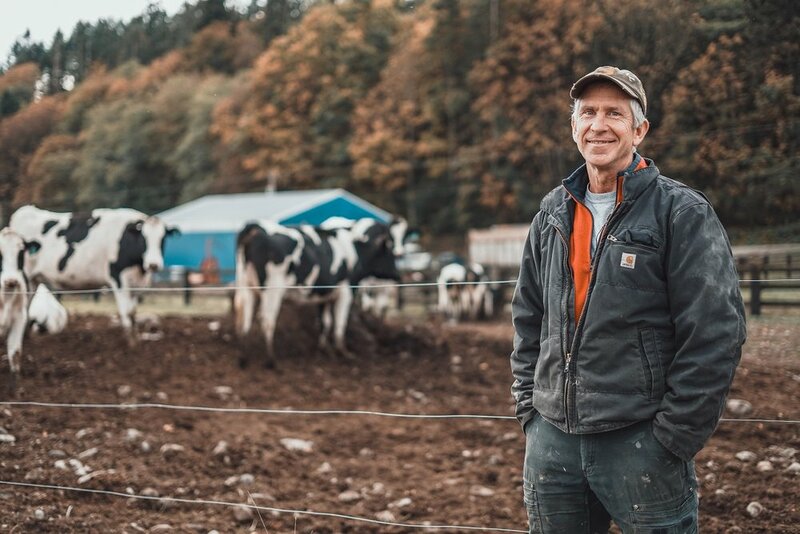 In the 1930s their great- grandfather started the farm in Clallam County because of its mild climate which allows dairy cows to thrive. Ben puts it this way, “Great grandpa picked an awesome spot to stop his wagon. 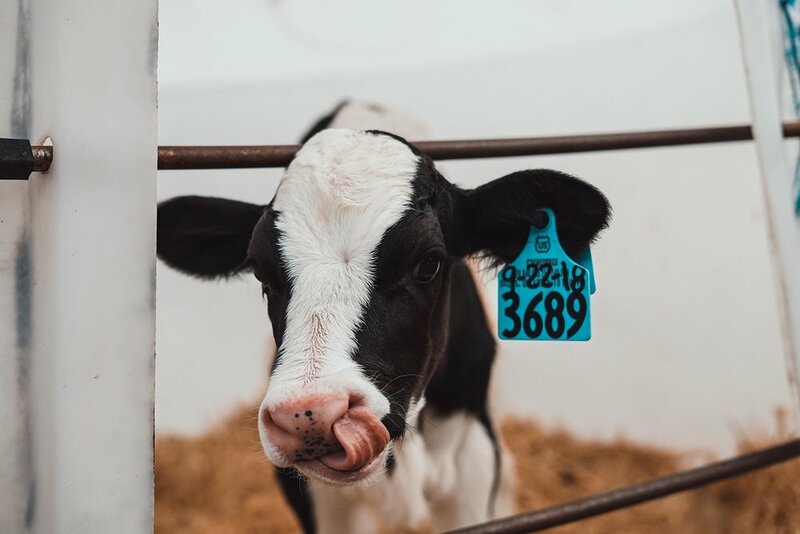 Bless his heart.” Today, the Smith brothers milk around 400 dairy cows, shipping the milk to Darigold, and they grow about 650 acres of feed for their cows and a few acres of vegetable seed. Looking to the future, the goal is to keep the land in farming. The family is planning to sell the development rights for some of their land, making it farmland forever. And the future may include a fifth generation of Smith farmers. Ben’s nephew is currently working on a cattle farm in Oregon and he’s starting to think about coming back. “There's a good chance that in the next generation we’ll shift from a dairy over to a beef operation, but we’re all committed to keeping the farm in ag in some form or another, long term,” Ben said. This is good news for agriculture in the Dungeness Watershed. The area once had over 300 dairy farms and many of those farms were lost to development. 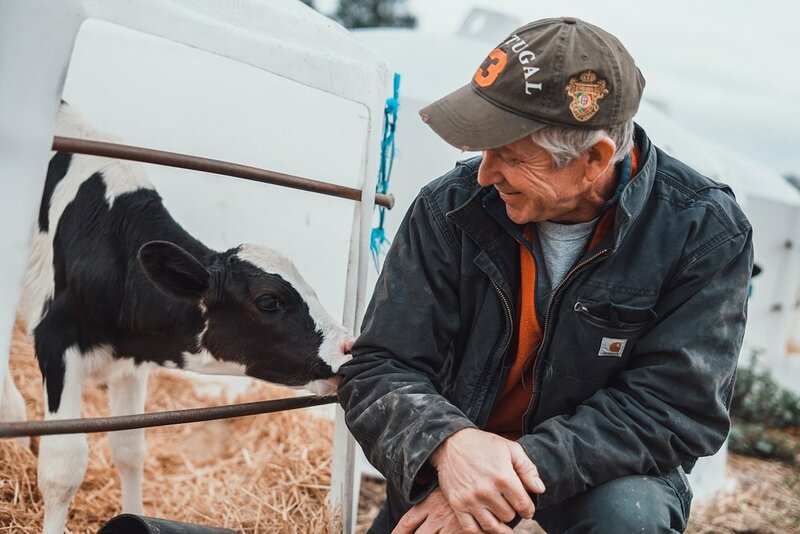 Today Maple View Farm is one of the two remaining dairy farms in all of Clallam County.